Nestled in the northwest of the state of Washington, Eatonville is the very definition of an America that, to most big-city folks, has disappeared. With a population of around 3,000, and sort of in between the big towns of Seattle and Tacoma, it is one of the last places that you would expect me to have visited often. But for the past eight years, I have come here to spend time with Cindy’s parents, Charles and Jaquelin McTee, who were born at the old hospital almost 90 years ago. They have resided in the same house for more than 60 of those years. For all the times I have been here, rarely have I ventured out to discover for myself what this quiet burg was all about. How much has it changed? What is it like to be in this fairly remote piece of real estate? How does a town like this make it in the world of today? Three months had passed since the bypass surgery, and I was now free to roam about the country, if not the world. Stepping back into the cylinder that would transport me from St. Louis to Sea-Tac, as the airport is known, felt unusually strange. I had to relearn how to adjust my seat belt, so I was grateful for the summary provided by the flight attendant. Cindy was waiting for me when I arrived, and we hit the road for what is usually about an hour-and-15-minute drive to her folks’ place. But it was rush hour, and traffic was jammed. A little over two hours later, we arrived at the quiet town, where seemingly nothing had changed from when I was last here about ten months ago. The Dispatch, laying on the dining room table, got me caught up on last week’s news. The Eatonville Arts Festival was a big success, a hit-and-run driver was caught and arrested, the outlook for the high school football team was good, and the town council voted to continue a moratorium on marijuana sales, even though the state passed legalization of pot back in 2012. This was not going to be a long visit, a bit under 48 hours, but during that first evening, I realized how little I knew about my wife’s hometown. We went to dinner at a relatively new restaurant, probably considered the haute cuisine establishment in Eatonville now. 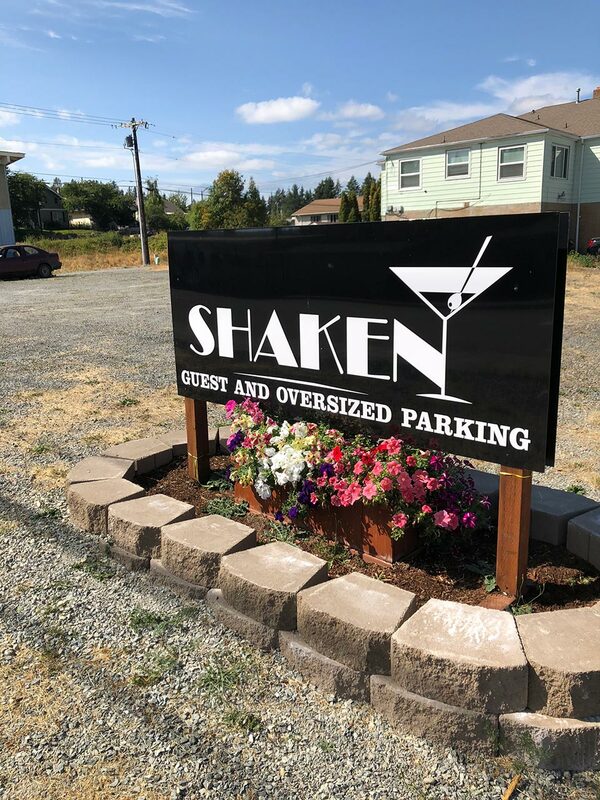 The food is good, but the place seems to have a slight grammatical problem when it comes to where the customers are supposed to put their cars. I was tired and headed back to one of the only places to stay in town, the Mill Village Motel, otherwise known as this area’s Four Seasons. On the weekends, it can get a bit rowdy, as a lot of bikers frequent the parking lot, having come from a day on the road and a night at Bruno’s Family Restaurant and Bar. I haven’t dined there yet, but if my diet did not restrict it, the elk burger with a deep-fried pickle would be a must-try. 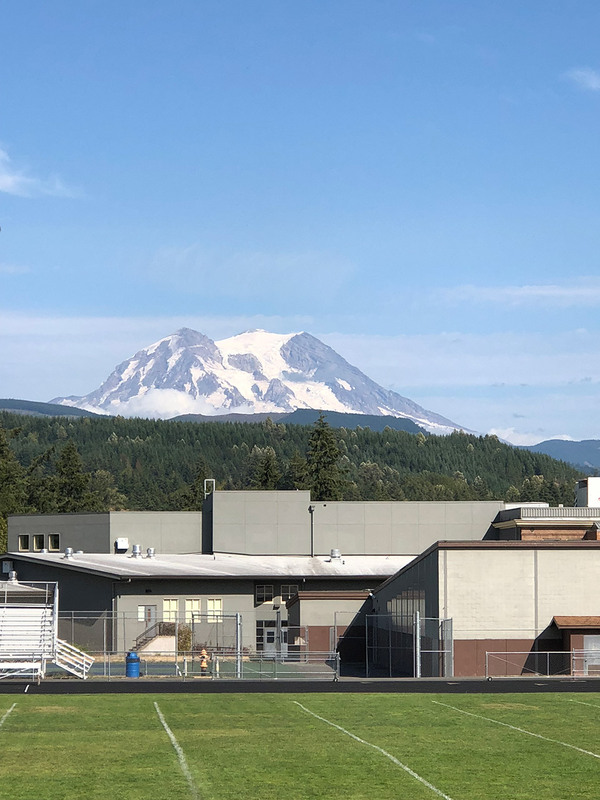 There are a lot of young people and families who come to this area to hike, camp, and just take in the majesty of Mount Rainier as well as the extraordinary beauty of the natural landscape. There have been a ton of fires in Washington and up north in Canada. The usually translucent sky had been replaced with a strong haze, reminiscent of how the atmosphere appears in Beijing. It was not even possible to see the mountain, which dominates the skyline from almost every angle. Every day, when Cindy went to school, she could always rely on the steady strength that could be derived from what has been said to be the world’s most dangerous volcano. After a couple hours at the McTee household, I got the idea to just walk around town. The skies had cleared, it wasn’t too hot, and I needed the exercise. Leaving the house, I turned left, then made a quick right, and found myself at the high school. Classes had not yet started, but the seeds of academic life were beginning to sprout. 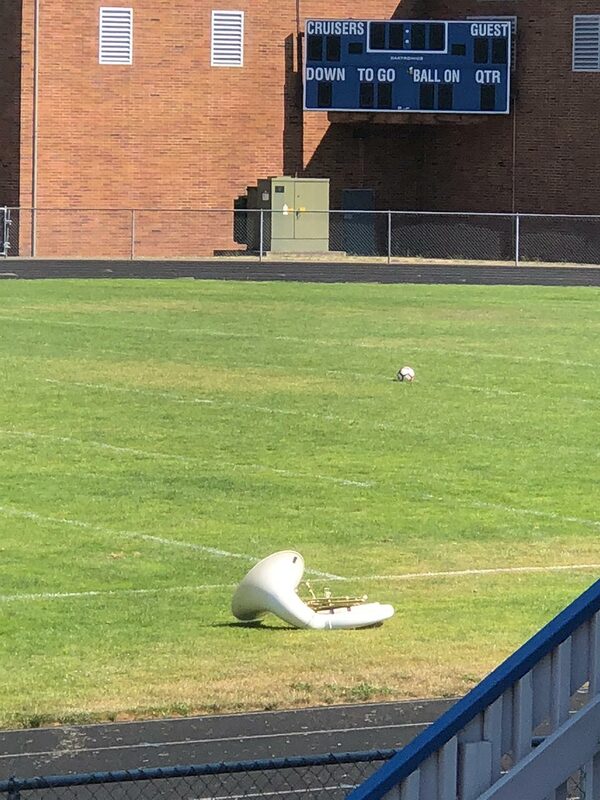 Out on the football field were nine of what I assumed to be members of the band. They were being drilled in the complexities of what must have been the first half-time show of the season. The instructor pounded out the beats while the students moved to their respective places on and in between the hash lines. It was not yet time for the instrumentalists to lift their chosen tools and devices to create sound to go along with the marching. Continuing on, I ventured down what is the main drag in Eatonville, Mashell Avenue. Here is where you would find almost anything you would need to survive in this town. As I trekked along the six-block street, I ran into Alex, who runs one of two barber shops in town. He told me that there were actually eight establishments that catered to the hair needs of the local residents. Clearly it is one of the big industries in the city. 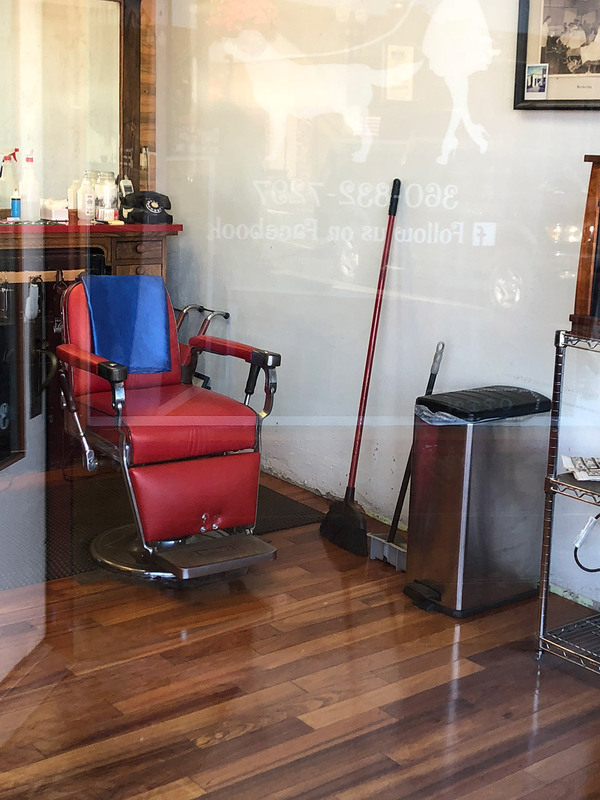 Alex spoke about the concept of the barber shop and its changing role beginning in the ’60s. You want to get your cigarette, cigar or vape fix (sorry, no weed)? A stop at Tobacco Joe’s is a must. And right across the street, you can get a tattoo. Need to feed those cattle you have been tending to? Visit Blackstar Feed, just up the street. And if you don’t want to deal with the bikers at Bruno’s, you can always head to the Bigfoot Tavern. Yes, the Sasquatch is very much alive and well here. But there are signs of troubles ahead. 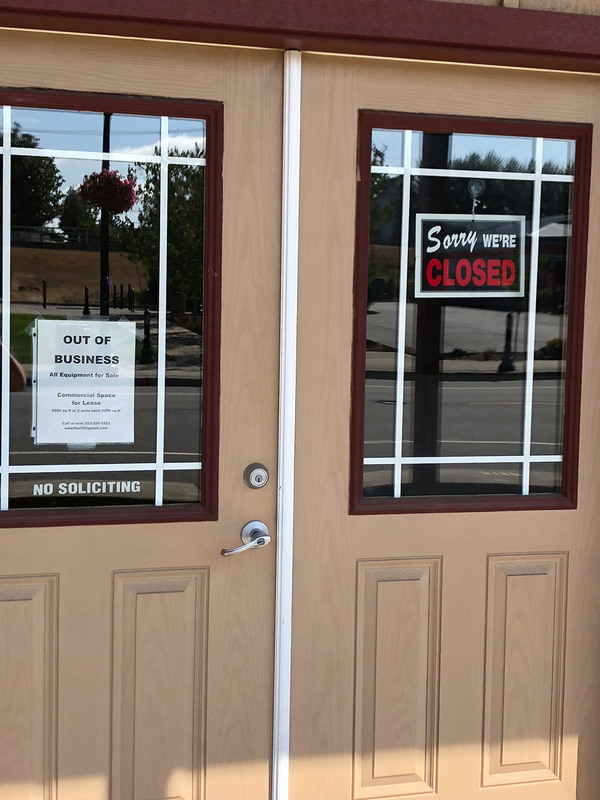 Just as in many of the smaller cities in the States, some businesses are shutting down. The tax cuts have not really hit home here. Demographics show that the town falls more or less in the blue area, but there are a lot of people who just do not trust any politician to get them out of the mess. The logging industry is waiting to see how potential tariffs might affect them. And on the street, there are literally signs to remind us of the fragility of the current economic climate. Still, most of the locals do try and support what is here. Only 11 miles down the Meridian Highway is the city of Puyallup, with a population of almost 40,000 people. All the big chains are there, malls proliferate, and fast food is the same as everywhere else. But in Eatonville there is no McDonalds, Walmart or Best Buy. Just one Subway to remind the populace of what awaits them on the outside. Housing prices are up, and new projects are being developed. 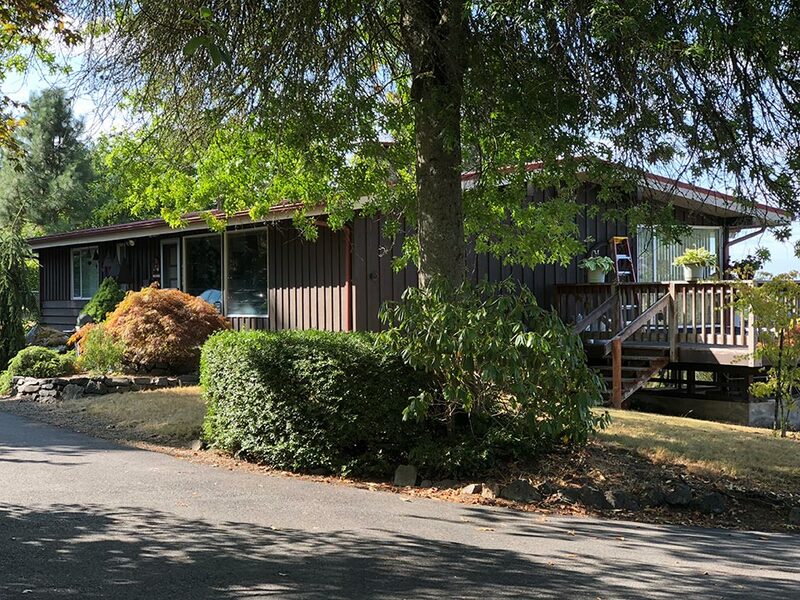 More people are moving out of the Seattle/Tacoma area and coming to the smaller towns. Life is slower, more personal and peaceful. As I turned and headed back to the residence, I once again passed by Cindy’s high school. Now the football team was practicing in earnest. I stood at the chain link fence, thinking about how important amateur sports were to cities such as Eatonville. And I remembered being in the band, playing glockenspiel, when the mighty LA High Romans took the field. Waking from my reverie, I realized that someone might be just a tad suspicious that a man in his seventies was hanging around looking at students, so I continued my journey home. Since I have been coming to Eatonville, there have been no traffic lights. Stop signs, yes—but red, yellow and green has not existed on the street corners. Until today. The McTees told me that the first signal made its debut, and I was among the first to view it. Perhaps it shows that there is optimism among the residents, but even more telling was a visitor who stopped to drop off a homemade salad. Edwinna could not stay long, as she was headed to the movie house. 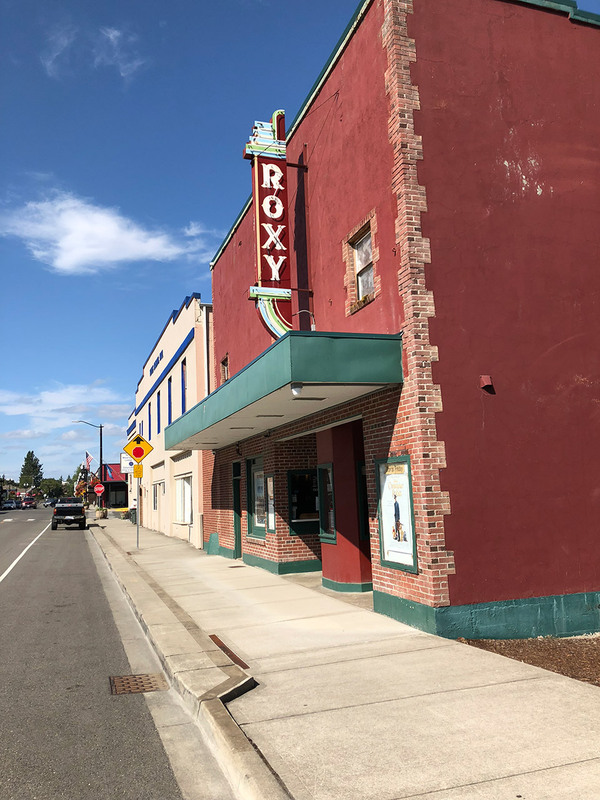 With just one showing in the evening, starting at 7:00, the Roxy has been operating since 1910. I desperately wanted them to be showing some Fairbanks or Chaplin. The visitor said she was off to see Mamma Mia 2. I asked her why she was going here as opposed to what would clearly be a larger screen in Puyallup. Maybe on the way out of town tomorrow I will stop off and see Bonnie over at Kirk’s. Then again, I did not give her my name. But it is a small town. She probably knows it by now.